“Awoooo” Oh, hi. That’s just me, Nikki. 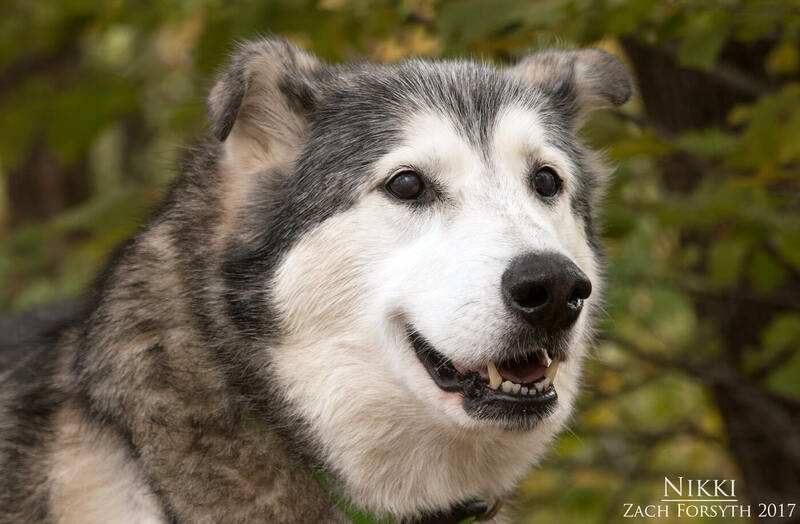 I am a gorgeous 12 year old Malamute mix with the most beautiful singing voice you have ever heard! And when I am not belting out my favorite showtunes, I enjoy my outdoor time with walks around the block with my Pixie crew or better yet-lots of snuggles! This big ball of fur loves her cuddle time. Especially when those neck scratches are involved! 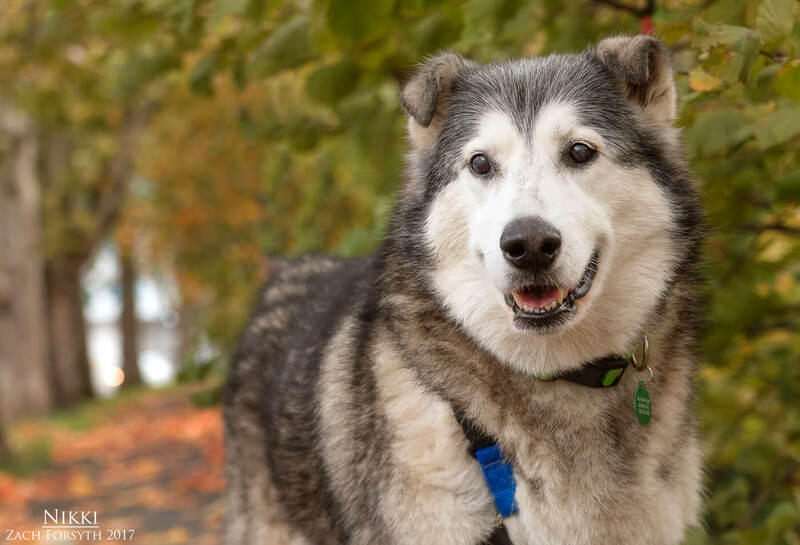 I am a friendly mellow gal who loves everyone I meet: my human friends, other doggies and those dog savvy kitties too. I greet everyone with a “woo” as they fain over my beauty and give me those amazing ear scratches. I am just a golden girl looking for a friend to settle down with and sing along together with our favorite musicals! Am I your Fair Lady? Fill out an application today, so we can meet! I come to you spayed, vaccinated, micro-chipped, and an up to date dental with an adoption fee of $350.